The law firms of Frank Haron Weiner PLC in Troy, MI and Vezina & Gattuso, LLC in Gretna, LA, in conjunction with the United States Department of Justice, today announced a settlement of $30,000,000 with GE Healthcare, a global provider of medical technologies and pharmaceuticals. The settlement is the result of a 2006 lawsuit filed in the Eastern District of Michigan federal court by Michigan resident James Wagel under the qui tam provisions of the federal False Claims Act. The False Claims Act allows private individuals with knowledge of fraud against the federal government to file lawsuits on the government’s behalf. If the case is successful, the private plaintiffs, known as “relators”, are entitled to a percentage of the money recovered by the government. Mr. Wagel’s complaint alleged that Amersham Biosciences, a division of GE Healthcare, knowingly provided false or misleading information to the federal Medicare program from 2000 to 2003 in connection with the distribution of the radiopharmaceutical agent Myoview, a drug used by health care providers in the cardiology field to perform nuclear stress tests. This conduct caused the Medicare program to reimburse Myoview at artificially inflated rates. The complaint further alleged that Amersham Biosciences orchestrated a scheme under which Myoview was improperly diluted in order to maximize the number of doses available per vial, thus leading to an increased number of patient-ready doses and inflated Medicare reimbursements. Monica P. Navarro, now an Associate Professor at Thomas M. Cooley Law School and special counsel to Frank Haron Weiner, and J. Marc Vezina from Vezina & Gattuso represented Mr. Wagel. The case was handled by Jeffrey A. Toll from the U.S. Department of Justice, Carolyn Bell-Harbin with the United States Attorney’s Office for the Eastern District of Michigan, and Gregory E. Demske from the Department of Health and Human Services, Office of Inspector General. Frank Haron Weiner is a full-service law firm providing sophisticated legal services in many areas, including employment, health care law, complex litigation, business planning, business and property transactions, labor law, real property matters, taxation, estate planning and probate, surety litigation, intellectual property, False Claims Act/Qui Tam litigation, and alternative dispute resolution. The firm has helped recover nearly $300 million in government monies as a result of False Claims Act lawsuits. Vezina & Gattuso, LLC provides a broad range of expertise for clients nationwide. The firm has extensive experience in complex commercial litigation, personal injury, real estate, banking, corporate matters, education law, professional liability defense, and whistleblower representation in False Claims Act/Qui Tam litigation. The firm regularly represents whistleblowers throughout the country and has assisted in the recovery of over a quarter of a billion dollars of government monies to date. Monica P. Navarro is an Associate Professor at Thomas M. Cooley Law School, where she teaches civil procedure and health law. She’s also a Special Counsel to Frank, Haron, Weiner, in Troy, Michigan. She is a leader in health care law and a nationally-recognized expert in qui tam litigation under the False Claims Act. Ms. Navarro’s matters have ranked among the top settlements in the State and the nation. She is an honors graduate of the University of Michigan Law School, a former federal judicial law-clerk, a Crain’s Detroit Business “40 Under 40” honoree, and a Michigan Lawyers Weekly Top 20 Women in the Law, among other professional distinctions. 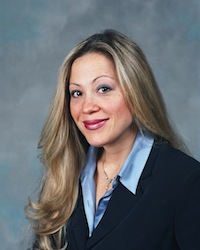 Ms. Navarro serves on a number of health care Boards throughout the State, including the State of Michigan Board of Psychology, where she chairs the Disciplinary Subcommittee, and holds a variety of leadership positions in the profession, including as Council-Member of the State Bar of Michigan Health Law Section, Board Member of the Hispanic Bar Association of Michigan, and as Vice-Chair of the Editorial Board of the ABA’s The Health Lawyer. Ms. Navarro is a Fellow of the Litigation Counsel of America. She is a frequent speaker and writer on health care topics nationwide.